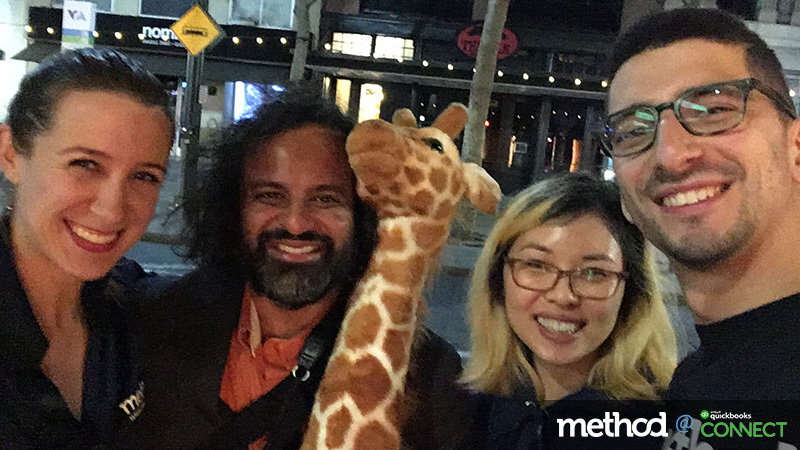 After a whirlwind three days at QuickBooks Connect San Jose, the Method team is back home in Toronto. 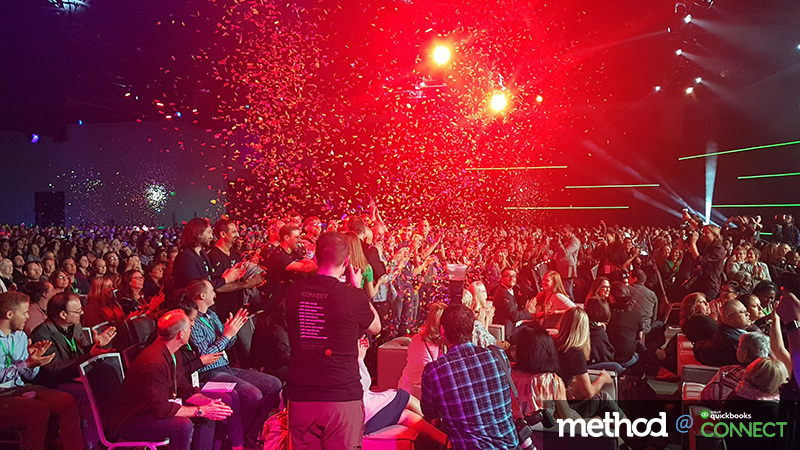 We have to say a huge thank you to Intuit for putting on this incredible event; we learned so much and met so many great people. 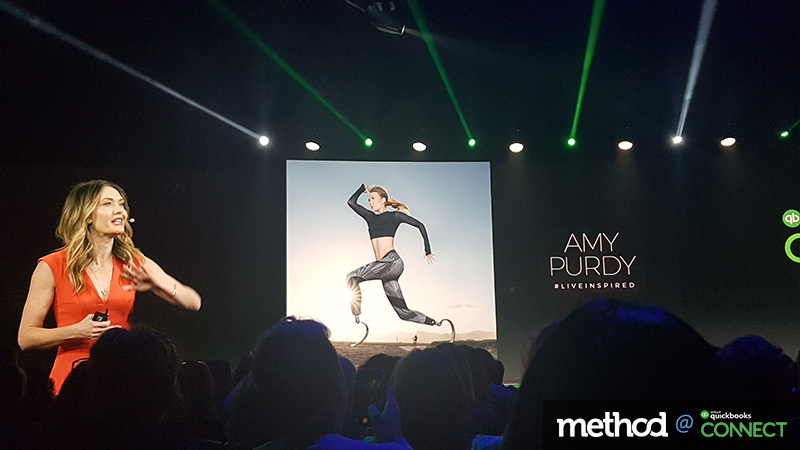 We also had an awesome time providing up-to-the-minute coverage of the event — so if you want to relive all of the action, check out our live blog. Here’s a look at some of our favourite parts of QuickBooks Connect. As Canadians, we have to admit that we really appreciated getting to visit sunny San Jose in November. The weather in Toronto is already cold and grey, so it was a real treat to walk around in our new Method polos without jackets. The San Jose McEnery Convention Center is massive and well-lit to begin with. 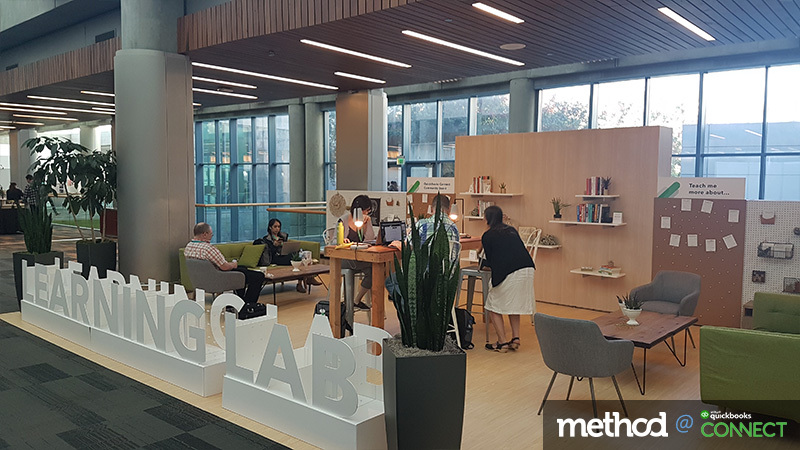 Plus, the QuickBooks Connect team did a fantastic job of turning it into a beautiful and inviting space. 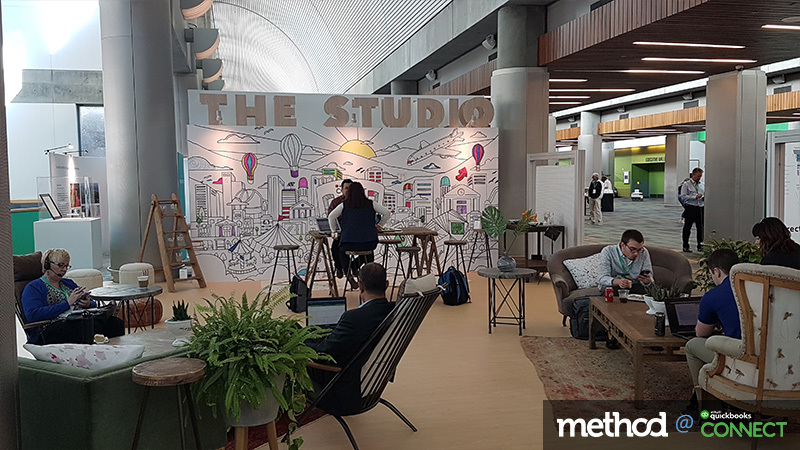 Every time you turned a corner, you came across a cool new area where attendees could connect, learn, unwind and recharge. The first day kicked off with an energizing talk from Ariege Misherghi of Intuit. 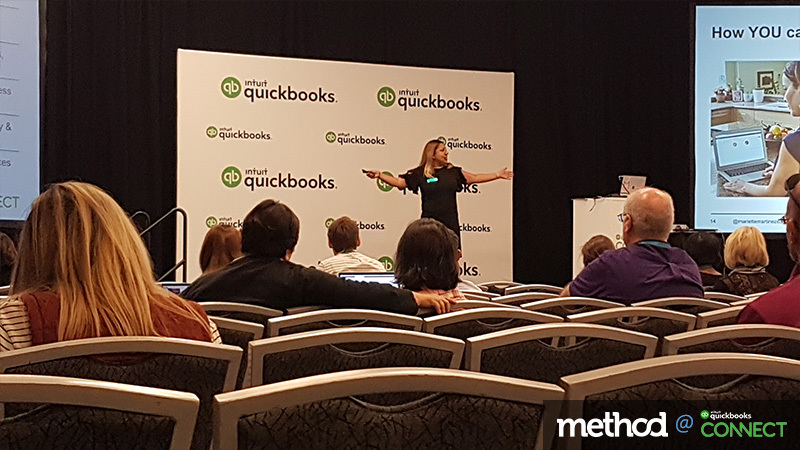 She gave attendees an exclusive first look at some of the new features coming to QuickBooks Online, including task capture from emails, project profitability analysis, and auto-import of bank statements. The accountants in the audience were clearly thrilled, and we were excited for them! 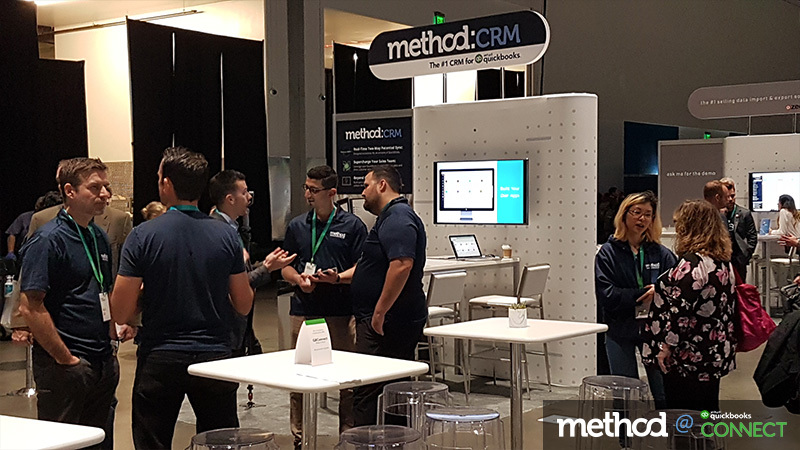 As an exhibitor, we had the opportunity to demo Method to countless conference attendees. It was wonderful to see how excited people got about a QuickBooks CRM with infinite customization potential. 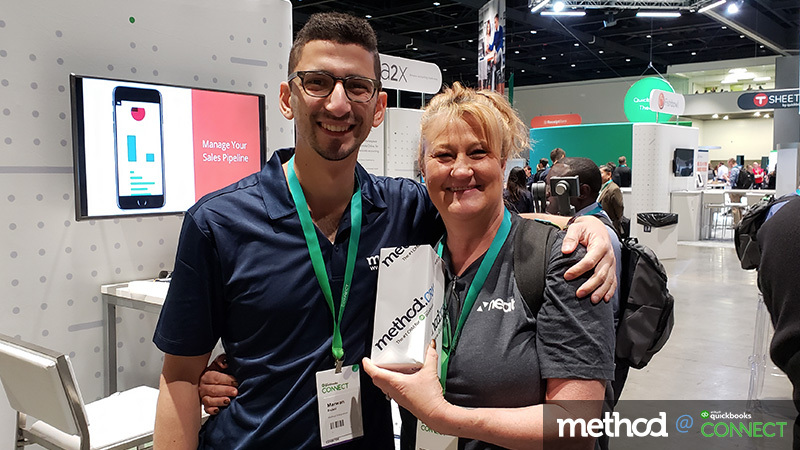 And a few booth visitors walked away with more than just an introduction to Method: we also gave away Amazon Echos to three lucky winners. The jam-packed schedule of breakout sessions offered plenty of great educational opportunities, so we ran around like crazy to catch as many as possible. We loved learning about topics that are important to our accountant and small business partners and customers. Highlights included a talk from Method partner Joe Woodard on maximizing productivity (“You can only think about one thing at a time — that’s the truth”) and a talk from Mariette Martinez on how accountants can work effectively with entrepreneurs (“They’re making money, but they’re not managing money — and we are in the managing money business”). 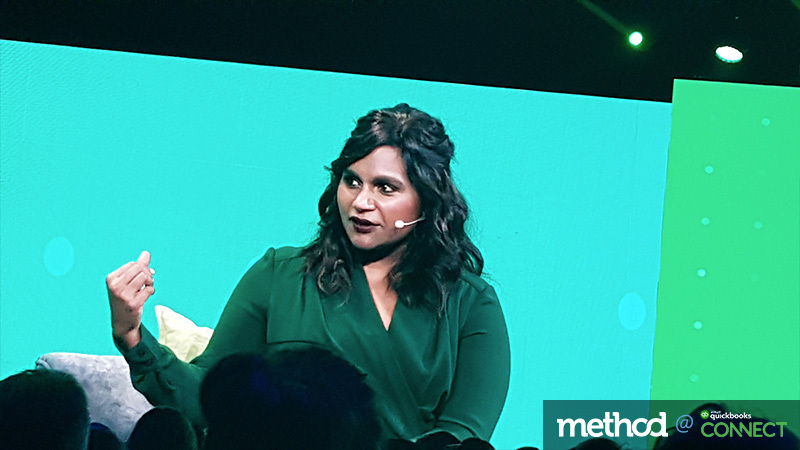 Every year, the $100K App Showdown at QuickBooks Connect showcases ten new apps that help accountants and small businesses extend the power with QuickBooks. 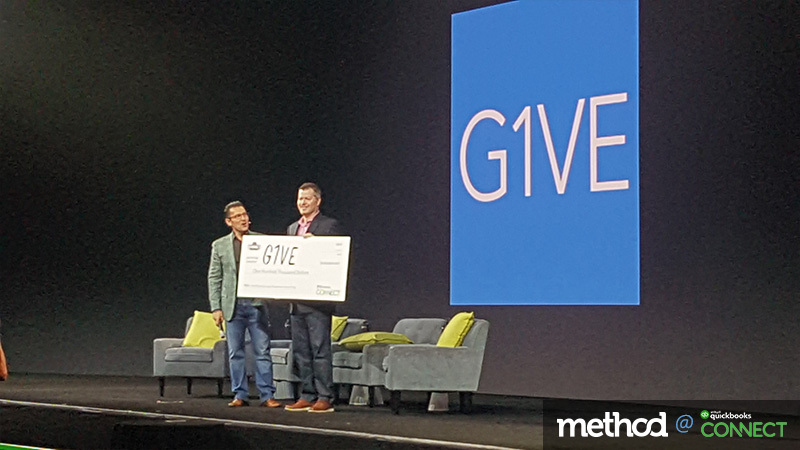 It was fascinating to learn about this year’s finalists, including ultimate winner G1VE: an app that allows businesses to easily give to charities and promote their giving to reach new customers. 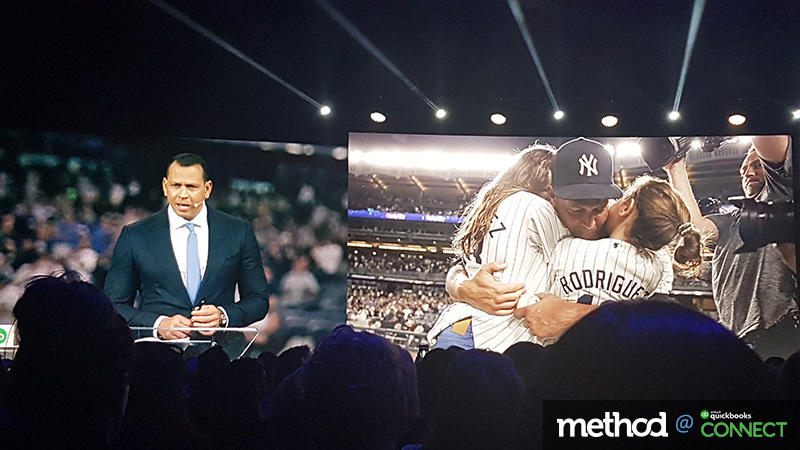 Founder Regis Malloy told the audience that he was excited to invest the prize money in new marketing and development strategies (after taking the team out for cheeseburgers). On the second day of the conference, we were thrilled to host our first fireside chat with some accounting industry powerhouses, including Brad Celmainis, Robin Hall, Laura Redmond, and Heather Satterley. 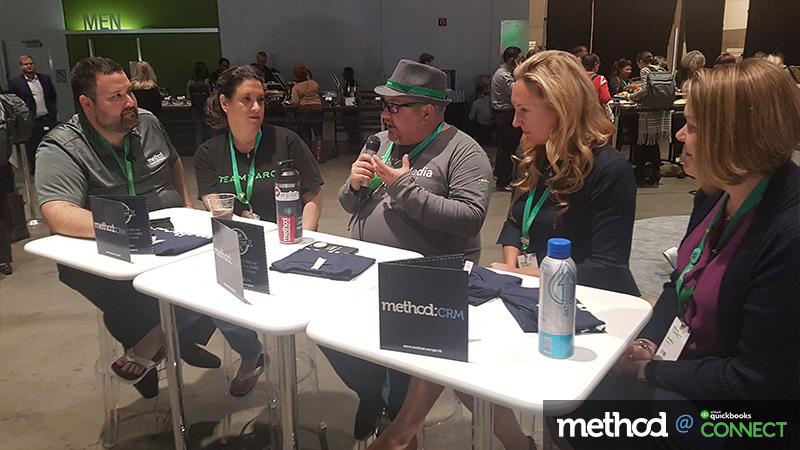 Led by Method’s Rodrigo Fernandez, the group tackled the question of how accountants can embrace technology to build a tech stack that is profitable for them and beneficial for their clients. Our guests had plenty of insight to share, so if you missed the live chat, check out the full video here. 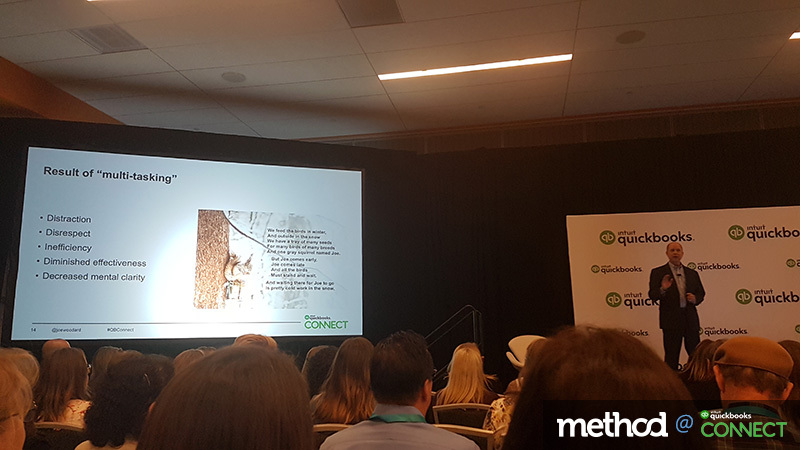 Said Ariege Misherghi on the first morning of QuickBooks Connect, “The most valuable part of this event are the connections you made.” Those words couldn’t be truer. 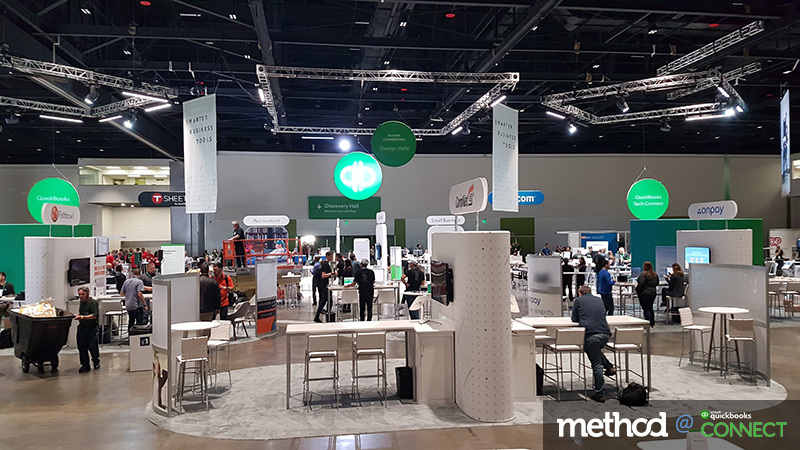 Throughout the conference, we loved meeting accountants, small business owners, and app developers from across the globe. We’re already counting down the days until we can reconnect in person next year. 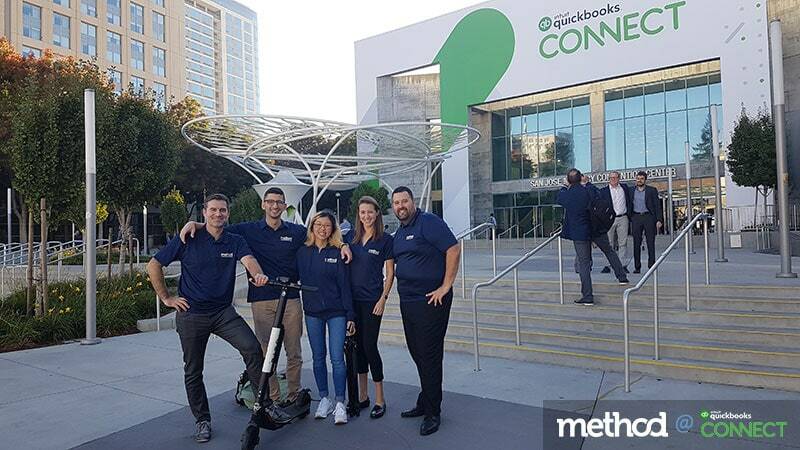 A few of our team members were first-time QuickBooks Connecters and had heard that the after-parties were something special. 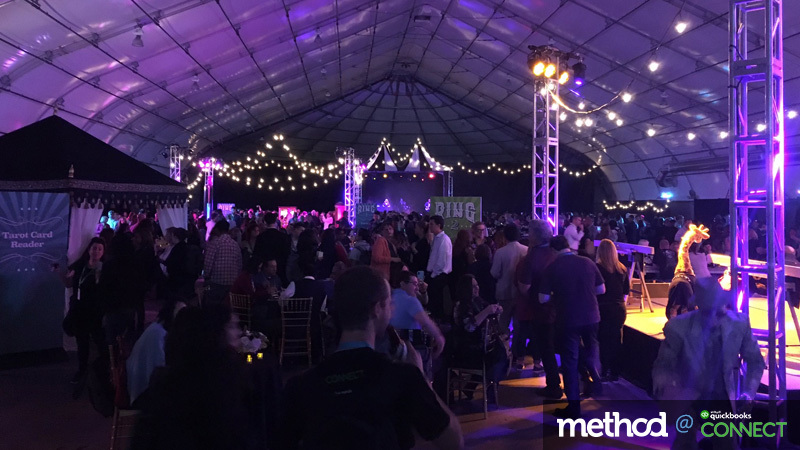 It turns out that these parties are a key component of the conference, and they lived up to the hype! We had a great time dancing the night away at TSheets’ Monday night bash and were blown away by Tuesday night’s circus-themed extravaganza. 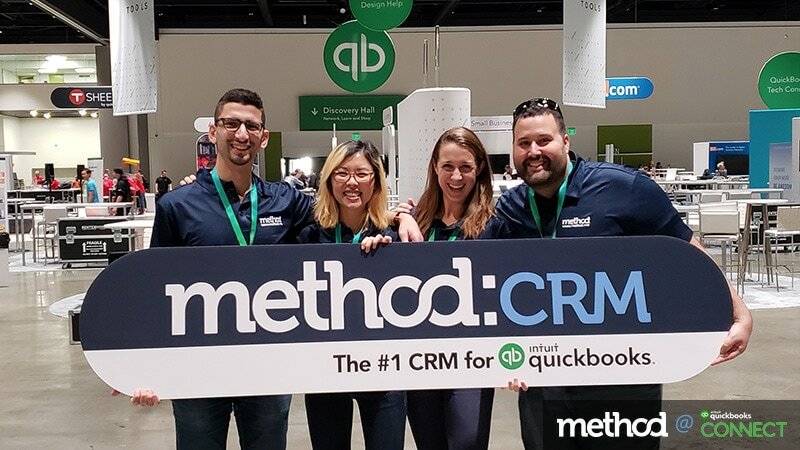 And that’s a wrap on our highlights from QuickBooks Connect San Jose. 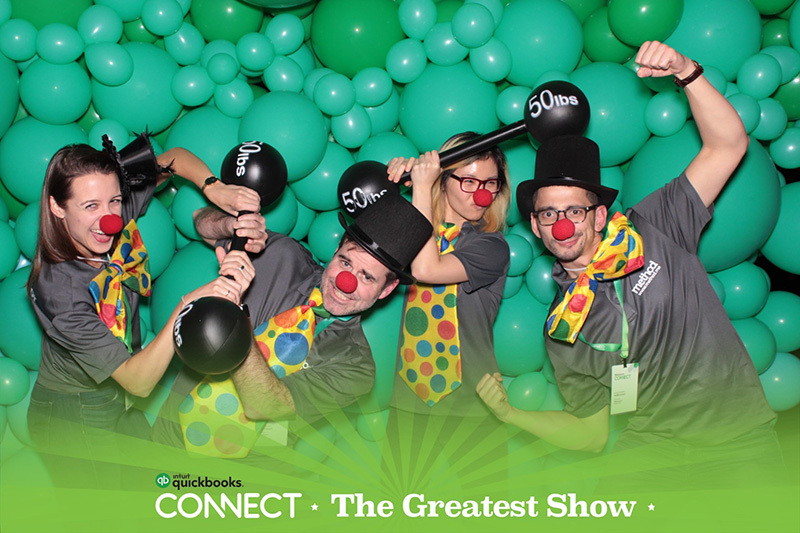 But with all the fun we had, you’d better believe we’re looking forward to QuickBooks Connect Toronto!